By accessing this site you agree to accept, without qualification or limitation, all the terms and conditions set out on this site (the “Terms”). By making a reservation with KSpace you agree that the contract between you and KSpace in respect of the rental of the apartment shall be solely on the terms of the Reservation Form (as defined below) and the Terms. Please ensure that you have read and understood and accepted all of the details listed in these Terms and Conditions as they form the basis for the legal contract between you and KSpace. All rates are per apartment per night and are in UK Pounds Sterling. All rates are correct at the time of publication and are inclusive of VAT and services. After submitting a reservation request your reservation will be accepted and confirmed as set out in the reservation form as soon as possible and in any event by the next day. KSpace will take all reasonable steps to ensure that the requirements of each reservation are met to the best of its ability. KSpace reserves the right if necessary to provide alternative accommodation at no extra charge to you. Check-in time is after 2.30pm and check-out time is 12.00pm prompt. For online reservations a valid credit or debit card is required for reservations. For other means of reservation payment can be made by cash or bank transfer. For bookings of less than one month, a payment equivalent to the charge is required at the time of the reservation. For bookings of one month and above, a deposit equivalent to a minimum of one month’s rental charge is required at the time of the reservation. The balance of the charge is to be paid as notified to you by KSpace in writing. You are responsible for the cost of any phone calls or extras (being those items not specifically included in the charge as referred to on the website of KSpace and in KSpace’s promotional literature). You are liable for any damage or breakages caused by you or your visitors to the apartment and/or the common areas of the building that the apartment is situated in. Credit card imprints will be required on or prior to arrival to cover the cost of any phone calls, extras, damage and/or breakages and you agree that KSpace is authorised to use such imprints to cover such costs. If any payment is not made by you on the due date, KSpace shall be entitled, without limiting any other rights it may have, to charge interest on the outstanding amount (both before and after any judgment) at the rate of 6% above the base rate from time to time of Barclays Bank plc from the due date until the outstanding amount is paid in full. The same notice period applies should you wish to curtail your stay. The following rules together with any other such rules which are notified to you in writing or are displayed at the apartment apply to your stay (together the 'Rules'): The limit to the total number of guests who stay overnight in the apartment is restricted to that shown in the reservation form. KSpace reserves the right to charge a supplement for each additional person in excess of the shown limits an amount equivalent to the rental charge ÷ 2 for each night that such additional person(s) stay at the apartment. You agree to observe all reasonable precautions for safety and security of the apartment and the common areas of the building that the apartment is situated in. You agree not to keep in the apartments any of the following: any live animals of any description; articles or liquids that are dangerous, noxious, inflammable, explosive or which may give rise to a health or fire risk; firearms, illegal drugs and any other illegal goods; anything unlawfully in your possession; anything specified as being prohibited in any written notice or list, which may be issued from time to time by KSpace. You agree not to use the apartment for any business purpose and/or any purpose which is illegal and/or immoral. In the event of a breach of any of the rules, KSpace reserves the right to terminate its contract with you with immediate effect and in such circumstances the charge (or balance of the charge) is payable immediately. In addition you agree to indemnify KSpace against any losses, damages and expenses (including costs) it suffers due to breach of any rules by you. You acknowledge that KSpace and its agents can have unrestricted and immediate right of access at all times to the apartment in the event of an emergency (or a perceived emergency) and have a right of access at all other times upon reasonable notice given by KSpace to you. Smoking is strictly prohibited in the property, any person found smoking will be fined and costs recovered for smoke damage. KSpace operate a strict security policy to ensure the health and safety of our guests, staff and property residents therefore non residents will not be allowed access to the properties after 11pm and we operate a strict no party policy. Our company operates a zero tolerance in respect of unreasonable noise levels and unreasonable behaviour. Should our terms and conditions be broken guests will be asked to leave with immediate effect and no refund given. A 200GBP deposit is chargeable for weekend stays over Friday, Saturday and Sunday. The following charges will apply. In these terms 'KSpace' means Cannon Apartments Limited a company registered under the laws of England & Wales under company registration number 4807038 and whose registered office is at The Sinclair Building, 1 Regent Street, Sheffield, S1 4DA 'you' means the person (being an individual, firm or corporation) set out in the reservation form 'Charge' means the charge(s) payable by you as set out in the reservation form 'period' means the period set out in the reservation form 'Apartment' means the apartment referred to in the reservation form (or such other apartment of a similar standard in a similar location as notified to you by KSpace) 'Reservation Form' means form sent to you by KSpace confirming your reservation. The Reservation Form and the Terms contain all the terms of the agreement between you and KSpace. Any variation to the reservation form and/or the terms needs to be agreed in writing signed by you and a duly authorised signatory of KSpace. KSpace reserves the right to update any of the terms at any time. The contract between you and KSpace and the use of KSpace’s website is governed by, and is to be construed and enforced in accordance with the laws of England and Wales. By using this site you irrevocably and unconditionally submit to the exclusive jurisdiction of the courts of England and Wales. The headings in the Terms are for convenience only and shall not affect their interpretation KSpace’s website, its contents and other KSpace publications are subject to copyright and other intellectual property rights whether registered or unregistered. Any use of any material on this site or in other KSpace publications is prohibited. 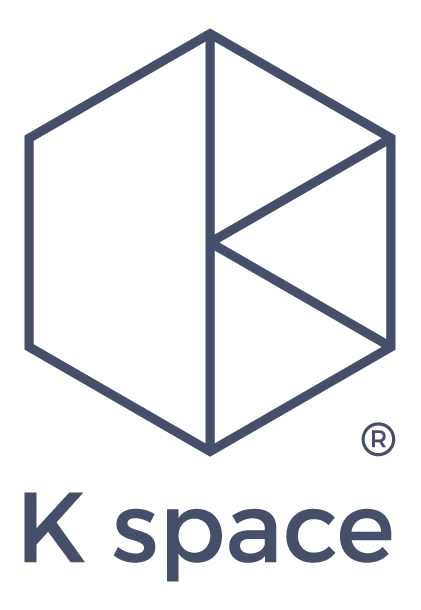 The KSpace name and logo are subject to trademarks. KSpace’s website may provide links with other websites operated by third parties. KSpace does not monitor these sites and is not responsible for their content. KSpace makes no warranties regarding these websites. If you link to another website you do so at your own risk. To make an online reservation you must be 18 years or older and you must have the legal authority to enter an agreement. You warrant that all information that you supply is true and accurate. As a condition of usage of KSpace’s website you agree that you will not use it for any purpose that is unlawful or in any manner which violates any rights of KSpace or any relevant third party or associate of KSpace. KSpace makes no representation that the content of its website complies with the laws of any country outside of the United Kingdom. If you access its website from overseas you do so at your own risk and you are responsible for complying and abiding by the laws of the country from which you accessed it.